Reporting to the on-duty Charge Nurse, the CNA is responsible for performing patient care activities within his/her scope of practice for an assigned group of patients and/or residents on a daily basis and documents care given. CNA�s provide direct patient/resident care to both acute and long-term care patients under the supervision of licensed nurses. This job description is intended to identify some of the primary duties and responsibilities of the Executive Assistant/District Clerk. MAYERS MEMORIAL HOSPITAL DISTRICT reserves the right to modify, supplement, delete or augment the duties and responsibilities specified in this position description, at MAYERS MEMORIAL HOSPITAL DISTRICT�S sole and absolute discretion. 2. Current California CNA licensure required. 3. Current BLS level CPR certification. 4. 2-5 years clinical experience in hospital/nursing home setting desirable. 1. Professional behavior is demonstrated, both when on duty and as a representative of MMHD outside of normal work hours. 2. Ability to work with others, at all levels within the organization, and collaborate effectively. 3. Above-average interpersonal, problem-solving, and written and oral communication skills. 4. A positive working relationship with patients, visitors, and facility staff is demonstrated. 5. Organizational ability and time management is demonstrated. 6. Produces deliverable products on time, within budget with minimal direction. 7. Demonstrates the ability to compile and organize data using Microsoft Office Applications. Ability to make appropriate recommendations or conclusions, given the data obtained. 8. Maintains an organized set of records, upon request, for the functions that are performed within the scope of this job. 9. Communicates appropriately and clearly to directors, managers, and coworkers. 10. Performs all assigned tasks accurately, to include proper spelling and grammar, reference materials, and minimal mathematical calculation. 11. Takes direction from others to include those employees of other departments with which he/she works on a temporary basis in accordance with the chain of command. 12. Maintains all information as confidential as appropriate, to include payroll, material produced for union negotiations, personnel information, and other information obtained during the course of performing job duties that is confidential. 13. Demonstrates ability to effectively use office machines in the performance of job functions. 14. Answers phone calls, assists public, and forwards appropriately if necessary and in a professional and friendly manner. 15. Other duties as assigned. 1. Delivers direct patient care according to established protocol. 2. Performs or assists with personal hygiene on patients/residents following established procedures including: bed bath, tub, shower, sitz bath, oral care, back care, pericare, skin care, nail and foot care, and AM/HS care. 3. Monitors and record the patients/residents vital signs accurately and according to established procedures including: temperature, pulse, respirations, and blood pressure. 4. Performs or assists with treatments or procedures ordered by the physician including: ted hose, ace bandage, application of K-pad, oxygen, cold packs and minor dressing changes. 5. Assists patients/residents with activity and transfer including: position change, dangling, ambulation, ROM, use of walker, cane, crutches, prosthetic devices and gait belt use. 6. Assists patients/residents with food and nutrition including: passes trays, provides set-up assistance, feeds patients, makes out menus, supplies nourishments, passes water, charts food percentages and intake/output accurately. 7. Obtains specimens from patients/residents using established procedures including: UA, stool and sputum. 8. Cares for patients in traction (e.g., leg, cervical, pelvic, etc.). Cares for patients on the cardiac monitor and with IV�s, foley catheters, NG tubes, colostomies and amputations. 9. Admits patients/residents to the hospital according to established procedures and assists in making them and their families oriented and comfortable. 10. Cares for patients in isolation following established procedures. Uses PPE when appropriate. Places contaminated linen and trash in appropriate containers according to established procedures. Abides by Standard Precautions. 11. Assists in meeting patients�/residents� and their families� emotional, psychological and teaching needs while in the hospital. Notifies the charge nurse when problems arise. 12. Helps support patient/resident�s families during and after death. Does post-mortem care according to established procedures. 13. Observes safety rules while transporting patients/residents per wheelchair, gurney, etc. Uses gait belt and hoyer lift appropriately when ambulating, transferring patients/residents. Reports any equipment problems or safety hazard to the charge nurse. 14. Charts care given and observations made accurately for both acute and long-term care patients/residents following established procedures. 15. Restocks linen, straightens closets, utility room, patient and resident units, and does other cleaning duties as needed without being asked. 16. Admits patients to Emergency Room under supervision, does paperwork, vital signs, and charting according to established procedures. Assists physician, as needed. Cleans and restock as necessary. 17. Assists team members as necessary in completing work assignments, endeavors to work with team members to build a spirit of team work. Knows and uses established channels of communication. 18. Participates in ward discussions regarding patient/resident care issues, such as swing bed meetings. Offers suggestions for improved patient care. 1. Adheres to dress code; appearance is neat and professional. 2. Completes annual education requirements if applicable. 4. Wears identification while on duty. 5. Attends annual evaluation and participates actively in this process. 6. Reports to work on time and as scheduled; completes work in designated time. 7. Attends all meetings as appropriate. 8. 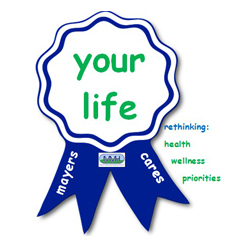 Exhibits the mission, ethics and goals of Mayers Memorial Hospital District in the performance of job duties. 1. Willingness to work beyond normal working hours and in other positions temporarily when necessary. 2. Is involved with personnel, visitors and government agencies, etc., when necessary. 3. Must function independently, have personal integrity, have flexibility and the ability to work effectively with other personnel, clients and support agencies. 1. Sits, stands, bends, lifts, walks and moves intermittently during working hours. 2. Able to lift 20 lbs.